As the focal point of your face, the nose plays an important role in creating balance and beauty. A crooked or misshapen nose can dramatically detract from the beauty of your face. Similarly, a disproportionately sized nose can affect the natural balance of your face. 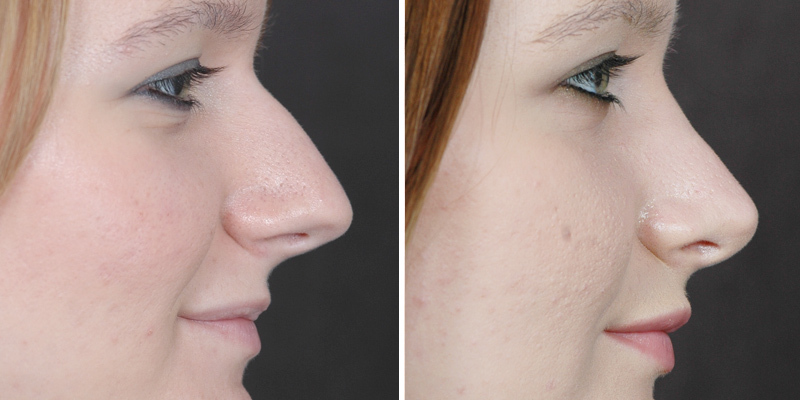 Rhinoplasty is designed to reshape the nose to restore attractive proportions and better facial balance. Teens can be candidates for rhinoplasty, especially if they experience unnecessary teasing at school because of their nose. The nose must be fully developed, which occurs around 16 years for girls and 17 years for boys. Dr. Kao will evaluate your teen during their consultation. Dr. Kao can expertly resize the nose, whether it is too large or too small compared to the rest of your features. A nose that is not in proportion with your facial features can create an unbalanced look. Dr. Kao’s sculpting technique improves sizing while maintaining symmetry and balance. A wide bridge, large hump, or bulbous tip can contribute to a poor nasal appearance. Dr. Kao restructures the nose to target these structural abnormalities. 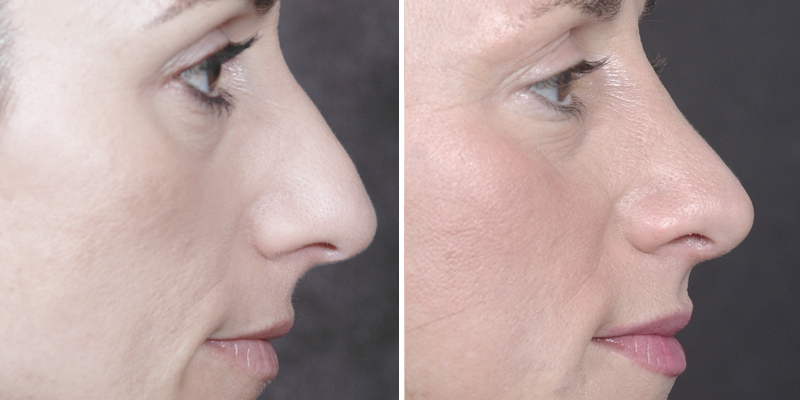 Treating a poor nasal appearance can restore a more beautiful and natural-looking nose. Rhinoplasty is an outpatient procedure. During surgery, the outer tissue layer of the nose is separated from the supporting cartilage structure. Depending on the correction needed, Dr. Kao either removes, adds, or reshapes the cartilage to improve the appearance of your nose. Cartilage is often taken from the septum to shape and mold the new contours of the nose. However, if there is not enough cartilage available from the septum, ear cartilage may be used. Once Dr. Kao has sculpted your new nose, the tissue layer is redraped, and your incisions are closed. Nasal packing and splints are applied to help support your new nasal structure. Dr. Kao prefers to perform the closed rhinoplasty technique whenever possible. This is a more difficult and time-consuming technique since it involves working through a small incision about the size of a keyhole. Dr. Kao’s primary goal is to ensure that the patient’s nose looks natural and untouched by making sure there is no visible scar. The majority of Dr. Kao’s rhinoplasty procedures are performed using the closed technique. Only on occasion will the open technique be utilized, such as when an extensive nasal tip reconstruction is needed. Open Technique: The open technique utilizes an incision at the outer base of the nose between the nostrils. This technique may result in minor visible scarring, but it provides better visibility for Dr. Kao to adjust the underlying structures. Closed Technique: The closed technique places all incisions inside the nasal cavity. 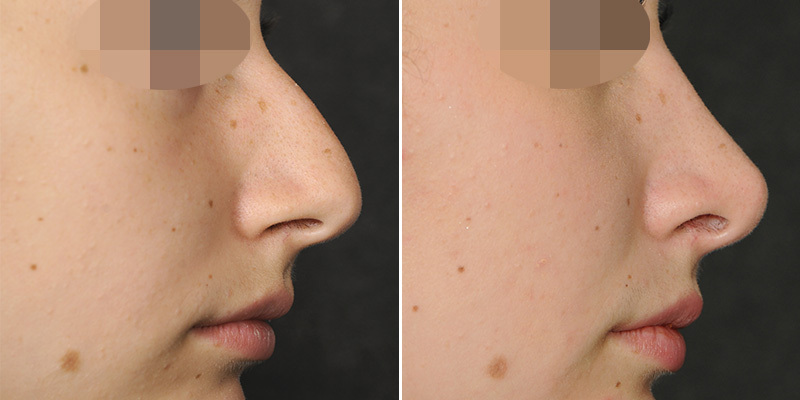 This technique prevents any visible scarring and leaves the patient’s nose looking untouched, which is why it is Dr. Kao’s preferred technique. Septoplasty: A septoplasty is performed on patients with a deviated septum. A deviated septum is a structural abnormality of the cartilage that separates your nasal passages. Deviated septums are common causes of breathing abnormalities. 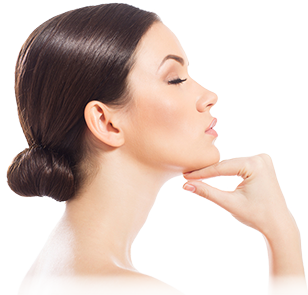 Dr. Kao focuses primarily on creating a balanced and proportionate nose. While many surgeons focus mainly on the bridge and length of the nose, Dr. Kao also looks at other nasal features to ensure a natural appearance. He looks at the shape of the nostrils and how it relates to the nasal tip to correct notched or flared nostrils. Dr. Kao also utilizes techniques to maintain or create nostrils that are proportionate to the rest of the nose and face. He also works to improve the functional part of breathing. His meticulous attention to detail allows him to create a better balance between the size and shape of your nose and your other facial features. You will experience bruising, swelling, and redness following your surgery. Some patients experience minor discomfort associated with swelling and the nasal packing. It may take some time to adjust to this nasal obstruction that is necessary for recovery. Oral medication will be prescribed to control any associated pain. All of Dr. Kao’s patients have the option to stay at an aftercare facility. Serenity is a post-surgical aftercare facility situated just across the street from Dr. Kao’s surgical facility and located in a federally and state-licensed health care center. For several days following your procedure, you will need to rest with your head elevated to minimize swelling. You should not engage in any physical activities during this time. Your surgical packing will be removed after four to seven days. Nasal splints, if placed, will be removed after seven days. Dr. Kao prefers to tape the nose with skin-colored paper tape for a week or two after the removal of the splint depending on the amount of tip swelling. Most patients can return to work within two weeks of their procedure. You can resume strenuous physical activities, including your normal exercise routine, after three to four weeks, but only after clearance from Dr. Kao. By this time, most major swelling should have subsided. Minor swelling can last for up to a year and may slightly affect the overall appearance of your nose. You should not expose your nose to direct sunlight for several months following your procedure. This is to ensure the best healing possible. Due to weak nasal structures, if nasal bones were moved you may not be able to wear glasses for several weeks after your procedure without special support. You are likely to experience some discomfort during your initial recovery period that can be controlled using an oral pain medication. Dr. Kao’s incision techniques result in minimal scarring. The pencil-thin incisions combined with his five-layer stitching technique results in a fine, obscured scar. Dr. Kao also places incisions so you can easily conceal the resulting scar. The cost of your rhinoplasty will vary depending on the technique used, surgical fees, facility fees, and anesthesia fees. You will receive a detailed price during your consultation. Dr. Kao performs rhinoplasty with the patient under propofol sedation. He rarely uses general anesthesia for this procedure. Dr. Kao also uses a long-acting anesthetic block that lasts three days, so most patients wake up with minimal discomfort. Will my incision be visible? Incisions are only visible when an open technique is used, but Dr. Kao primarily uses a closed technique to avoid these visible scars. Patients with a deviated septum can have difficulties breathing and may suffer from sleep apnea and snoring.